The Discovery Channel&apos;s Shark Week is an anticipated TV event for many, but you can step away from the TV and view these amazing animals in person at The Living Planet Aquarium this week, Aug. 4-10. Aquarium staff will reveal shark facts and debunk shark myths. 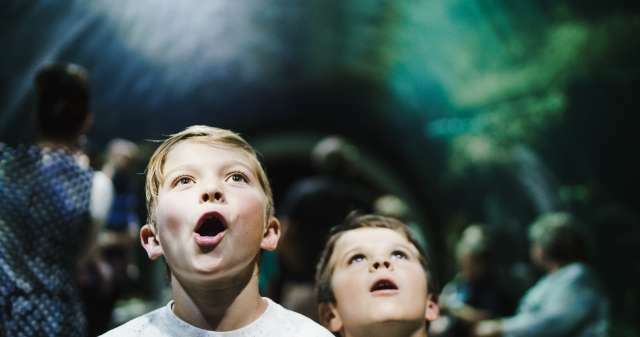 Visitors will have a chance to discover what a massive prehistoric shark mouth looks like, learn about incredible shark adaptations, laugh at a fun puppet show, design a shark hat, and best of all, touch live sharks! There will also be opportunities to win a Discovery Channel prize pack. If you haven&apos;t had a chance to visit The Living Planet in their current location, you only have until Sept. 10. After that the aquarium will be closed until December, when they will open a new, larger facility in Draper.